Today, Jerusalem has been recognized as the capital of Israel--Mazel tov! - 70 years after President Truman instructed the State Department to support the U.N. partition plan. - 50 years since the Six Day War in which Jerusalem was reunified. - 22 years after the Jerusalem Embassy Act was passed for relocating the U.S. Embassy to the capital, Jerusalem. Everyone has been patient and waited a long time for this. As President Trump stated, we are recognizing the reality, the obvious, and "it is the right thing to do!" Yes, Israel is a sovereign nation with the right to determine their own capital as every nation does. 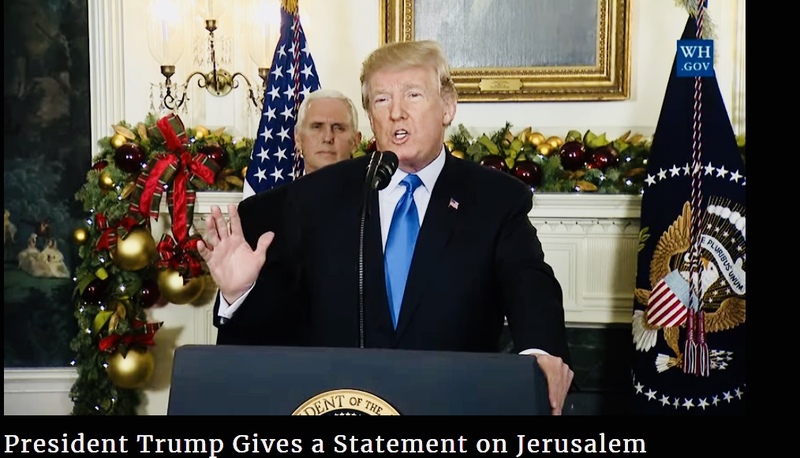 And Jerusalem is that capital today as it has been historically from the times of the Bible. We are blessed to be witnessing in our time the miraculous fulfillment of G-d's promise for the quintessential return of the Israelites to the Promised Land, and toward the ultimate redemption. From the ashes of the Holocaust, G-d has resurrected and brought us alive again. Many that I have spoken with today express genuine fear about the ramifications of this announcement of recognition. But as President Trump displayed today, we must all go forward together courageously and in celebration. The State of Israel is blooming from its agricultural fields to the incredible medical and technological innovations that are helping people throughout the world. We must never forget that it is only with G-d's blessing and under his watchful eye. What Do You Do With Fear?